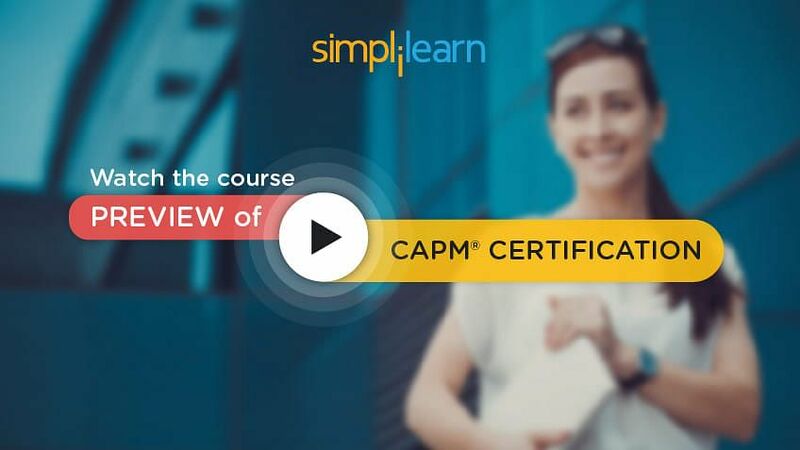 Welcome to Lesson 1 ‘Project Management Framework’ of the CAPM Tutorial, which is a part of the CAPM Certification Course offered by Simplilearn. In this lesson, we will focus on Project Management Framework. Let us begin this lesson by understanding what a project is, in the next section. A project is a temporary endeavor undertaken to create a unique product, service, or result. For example, developing a new product, service, or result; constructing a building, industrial plant, or infrastructure; and implementing, improving, or enhancing existing business processes and procedures. In the next section, we will focus on the characteristics of a project. First, it is temporary in nature. Temporary here does not mean short in duration. A project can extend for the long duration based on the requirements, for example, creating a new “Indigenous Missile Defense System” for a country. However, there is always a definite planned start and end date for a project. It cannot go on indefinitely. Secondly, the project is supposed to produce a unique output. The output could be a product, service, or result. There can be many common activities between two projects, but the outcome of each project should be unique in some way or the other. Now, let us look at what marks the end of a project. A project ends when either the objectives are met or the project is terminated because the objectives will not or cannot be met. The other reason to terminate the project can be that the need for the output of the project does not exist anymore. Usually, the sponsor of the project takes a call about the closure of the project. It is important to differentiate project work from regular operational work. For example, your office receptionist does the same work every day of picking any incoming call and directing the call to the right person in the office. This is an ongoing repetitive work and can be classified as “Operation”. Operations, unlike projects, are neither temporary nor unique. Creating a new Software System to effectively track your customer complaint can be an example of a project. When the software is successfully developed, the project objective is met which marks the end of the project. When you start using this software to track customer complaints, you are entering into the operations phase. In the next section, let us now look into project management. As defined in the PMBOK® Guide, “Project management is the application of knowledge, skills, and tools and techniques applied to project activities to meet the project requirements.” Project management is achieved by proper application and integration of the 47 processes. Project application and integration mean these processes should be executed in the right manner as well as in the right order. In the next section, let us discuss how to manage a project. At the initiation stage of a project, high-level requirements are identified. However, to meet the project objectives, it is essential to analyze these requirements in detail, failure of which might sometimes lead to the failure of a project. A stakeholder is the one who has an interest in the project. For example, customer, company’s senior management, project team, etc. Managing stakeholder is as important as identifying requirements. All the stakeholders must work towards the single project objective, for the project to be executed successfully. The triple constraints are scope, cost, and time. The balancing act between these constraints also has an impact on the quality of the output. For example, if you want a better quality product, it may require using a better raw material, leading to a higher cost. However, your project might have a limited budget, which might restrict your ability to do so. Therefore, change in any one constraint affects the other. These are often called “trade-offs” that a project manager needs to make while managing a project. Let us now learn about program management in the next section. Program management is defined as the application of knowledge, skills, tools, and techniques to a program to meet the program requirements and to obtain benefits and control not available by managing projects individually. As defined in PMBOK® Guide, a program is a group of related projects, which when managed as a group in a coordinated fashion, provides benefits and control that are not available while managing them individually. These benefits could be from decreased risk, economies of scale, improved management of dependencies, delivery of additional capabilities, optimal utilization of shared resources, and so on. Let us now learn the various features of program management. Random projects cannot be grouped to as a program. The projects in a program should be related in some way or the other and there should be some “value added” in managing them together. A project may not be a part of any program, but a program will always have projects. A project can also be executed as a standalone project. A program is designed to deliver some strategic “benefits” value to the organization. These benefits can be tangible or intangible. Examples of tangible benefit could be increased profit margins or operational cost savings. Examples of intangible benefits could be “improved team morale” or “building up certain competencies.” While a project manager focuses relentlessly on the fulfillment of the project’s requirements i.e., scope, cost, time, quality, a program manager needs to focus on ensuring that the organizational benefits are realized. In the next section, let us understand what a portfolio is. Portfolio is yet another term used along with project and program. A portfolio may have multiple projects and programs that are managed as a group to achieve strategic objectives. Note that all projects and programs in a portfolio may not be necessarily interdependent or directly related. A portfolio can be created based on the business objectives. In the next section, let us discuss portfolio management. Portfolio management is the centralized management of one or more portfolios. This includes identifying, prioritizing, authorizing, managing, and controlling projects, programs, and other related work to achieve strategic business objectives. Therefore, whether the company should have “Japanese Projects” as the portfolio or not, is decided by portfolio management. In the next section, let us understand the relationship between portfolios, programs, and projects. The following image will help understand the terms portfolios, programs, and projects. A portfolio is part of an organization’s overall strategy. It represents a conscious decision by an organization to invest in the portfolio. The overall objectives of a portfolio are then cascaded down to the lower level components. These components can further be broken down into smaller components for ease of management. Although a project may not contain operations, a program, or a portfolio, it can include “other work”. This other work may comprise training and development, customer support and services, etc. If the other work has synergy with the overall objectives and adds to the capability to deliver the higher level benefits, then it can be included in the program or portfolio as well. In the next section, we will discuss Project Management Office. The Project Management Office or PMO is a specific type of body, or department, within an organization. PMO performs several roles in the organization and these can broadly be classified as primary roles and other roles. In the next section, we will discuss how to manage the triple constraints. Any project can be done successfully if there is no constraint on time or there is unlimited budget available. Unfortunately, that is not true in real life. A project is performed within some constraint and these constraints are usually competing. Therefore, if you change one, it would affect the other. Quality is a primary concern for a project manager. Therefore, the project manager has to make tradeoffs to keep the scope-cost-time-quality plane in balance. To achieve the balance, the project manager also needs to manage other aspects of the project, for instance, the people, stakeholders, risks, communication, and procurements. The project manager plays the essential role of “integrating” all these different aspects of project management. In the CAPM examination, you can expect business scenario based questions focusing on the triple constraints. In the next section, let us understand who a stakeholder is. Let us see who is a project sponsor. A project sponsor is the one who gives a go-ahead for a project and provides the necessary resources to execute the project. Therefore, the Head of Projects in the organization, who provides a green signal to start a project and allocates required resources to the project, is the project sponsor. A project sponsor is usually somebody placed high up in the organizational hierarchy of the “performing organization”, i.e., the organization in which the work of the project is being carried out. In the next section, let us look at stakeholder management. Missing out any stakeholder can be disastrous for a project. A stakeholder, who is identified towards the end of the project, may come up with his own requirement at that stage, and incorporating them can be risky. After identifying all the stakeholders, the project manager also needs to ensure that their requirements are clearly identified. Sometimes, stakeholders might themselves not know of their requirement and it is the job of the project manager to get them right by doing a proper stakeholder requirement analysis. Stakeholders might also have some unstated expectations, which need to be clarified to see if it can become a project requirement. It is again the role of the project manager to determine a stakeholder’s expectation. Once all the stated and unstated stakeholder requirements are known, the project manager as part of stakeholder analysis should focus on communicating them regularly to keep stakeholders involved in the project. Once you understand the practices of stakeholder management, it will be easier for you to answer scenario based questions in the examination. In the next section, let us look at the various organization structure. In a functional type of organization, the organization is grouped by the area of specialization within different functional areas. For instance, marketing, accounting, engineering, etc., are departments within the organization. Each employee typically reports to a functional manager. In such types of organization, normally projects are undertaken within the department itself. If a project requires any assistance from another department, the request moves from the head of the requesting department to the head of the concerned department. The team members do their normal departmental work in addition to the project work. The next type of organization is projectized organization. In such organizations, there are no departments. The organization’s resources mostly work on projects. Team members report to a project manager. The project manager has complete control over the resources. When the project is completed, either they move on to another project, or they look for some job outside the company. They do not have a department for themselves. The third type of organization is a matrix organization, which is a blend of functional and projectized organizational structure. A team member belongs to a department as well as they are part of a project team. In such organization, team members have two bosses, one, their department head and the second, their project manager. There is another term that you may find in the exam, called “tight matrix”. This generally refers to a “co-located” team, i.e., a team that has been placed in the same location to enhance their performance. In the CAPM exam, if there is no mention of the organization type – you can assume it to be a matrix organization. Let us look at each of these organization structures in detail. In the next section, let us look at the functional organization. In a functional organization, the resources of the organization are grouped by “functions” – sometimes called departments. Examples of functions could be “sales”, “finance”, “administration”, “manufacturing”, etc. Each function plays a definite role in the organization and is headed by a functional head or supervisor. All the resources in such an organization report directly into their functions. Therefore, a salesperson would report into the sales organizational hierarchy, a purchase executive would report into procurement, and so on. You would notice that in a functional organization, the project manager’s role is not explicitly called out. When a functional organization embarks on a project, each of the functions that are involved may volunteer some resources to work on the project. One of these resources may end up playing the project manager’s role. The resource assignments may not even be full time and sometimes even the project manager is part-time. Since the project manager has no authority over any of the resources, they are dependent on the functional heads. This makes it more challenging for the project managers to coordinate with the team. However, functional organizations provide an opportunity for specialization. For example, if a purchase executive was reporting into the purchase department, that executive would have exposure to all the purchasing that happens within the organization and has a well-defined career path. In functional organizations, project management happens at the Functional Head level. Let us now look at the projectized organization in the next section. The projectized organization has all the resources aligned around projects. The project managers have complete control over the resources working on their projects. There are few disadvantages to this structure as well. Firstly, the role of the resource is over once the project is completed. Secondly, highly specialized roles within a project may not be fully occupied all the time. For example, a purchase executive may have work for selected periods on a project while purchase activities are going on. However, for the rest of the period, their capability may not be optimally utilized. There is less scope for functional specialization, as the project boundaries limit the kind of work for the resources. Each project manager is in charge of a project and its resources. Next, let us look at the matrix organization. In a matrix organization, the resources report to the functional managers and are managed by the project managers as well. There might even be a function that represents all the project managers in the organization, which provides project management expertise. The matrix structure has three variants commonly referred to as weak, balanced, and strong. In a weak matrix, the authority of the project manager is the weakest, and strongest in a strong matrix structure. The titles given to project managers in functional or weak matrix organizations are project expeditor or project coordinator. They would be called project managers in a balanced or strong matrix structure and have slightly more authority over the time of the team members. The advantage of the matrix structure is that resources can be optimally utilized while preserving the capacity of the project managers to get projects executed efficiently. Resources can specialize in their functions and have stability in their careers, also contribute to the projects at the same time potentially. The disadvantage of matrix organization is that the communication overhead increases significantly. This is because every resource in the organization belongs to a project and into a function, leading to a dual reporting structure. In a matrix organization, project management happens at Project Resource Level. In the next section, let us summarize the advantages and disadvantages of different organizational structures. Business scenario-based questions to identify the type of organization structure can be expected in the CAPM exam. When the organization type is not mentioned, it can be assumed to be a matrix type of organization. In the next section, let us focus on the comparison on project lifecycle and product lifecycle. Project life cycle spans the initiation of a project until the closure of the project. A project has its own lifecycle and this lifecycle depends upon the industry and the organization within which the project is being executed. Sometimes different organizations within the same industry use different life cycles. The product life cycle encompasses the operational and maintenance phases. A typical product life cycle starts with the conception of the product and goes until its withdrawal from the market. The withdrawal might be because it becomes obsolete or there is no further need for the product in the market. A product has a long life cycle. A product can require or spawn many projects over its life. For example, a project in product conception phase could be to determine customer needs, whereas a project during product maturity phase could be used to perform competitive analysis. Typically, a product life cycle is longer than the project life cycle. There can be questions in the exam, based on the comparison of the project lifecycle and product lifecycle. So understanding the differences will be useful in answering such questions. In the next section, let us discuss more on project life cycle. A life cycle is composed of phases. Each phase represents a discrete unit of work required to be done on the project. There are different ways of classifying project life cycles. Let us first discuss the sequential versus overlapping life cycle. In sequential phases, the subsequent phase starts only after the previous phase has been completed whereas, in overlapping phases, two or more phases may run in parallel for some time. This could help fast-tracking and compressing the amount of time required. The other way of classifying life cycles is how they go about the process of planning. In predictive life cycles, there is a large up-front planning phase, where all the details of scope, cost, time, are planned before beginning the subsequent phases. These phases then are executed in either sequential or overlapping modes. They are suitable for large projects where all the requirements are likely to be known in advance and where up-front planning effort is required to get the necessary approvals. Another feature of predictive life cycles is that each phase may potentially be different in the nature of activities and may require people with different skill sets. For example, traditional software development life cycle has phases like requirements, feasibility, planning, design, construction, testing, and transition. Incremental and iterative life cycles have a short up-front high-level definition and planning phase. The product is then developed through a series of iterations, where iteration increments (or adds to) the functionality by a little. All the activities are intentionally repeated in iterations. Adaptive or Agile life cycles are variants of incremental and iterative life cycles where iteration is very short (typically 2 to 4 weeks). Agile methodologies are becoming very popular in the software development industry and in other industries. These industries typically have requirements that are highly changeable and benefit from frequent feedback. Project management is the application of knowledge, skills, and tools and techniques applied to project activities to meet the project requirements. PMO provides the policies, methodologies, and tools and templates for managing projects within the organization. The project manager has to integrate various project aspects, like the people, stakeholders, risks, communication, and procurements with the project constraints (time, scope, cost, and quality). Identifying internal and external stakeholders, determining their requirements, and communicating with them regularly is an important role of a project manager. Functional, projectized, and matrix are the three types of organization structures, based on the level of authority given to the project manager. Project life cycle spans the initiation of a project until the closure while product life cycle also encompasses the operational and maintenance phases.